As practitioners, there’s one thing we don’t talk about nearly enough – mistakes. Because let’s face it, we all want to avoid mistakes. But we’re human. And just like everyone else, we make them. In order to grow as practitioners (and avoid future mistakes), it’s vital that we have frank conversations about our experiences – and what we’ve learned from them. In the video below, Steven Hayes, PhD opens up about a mistake he once made with a client – and how that experience has shaped him as a practitioner. How have you responded to mistakes in your work? And what have you learned from your experience? I recently believe that I caused discontent in a ct, I work with dual-dx, schizophrenia, schizo-affective, Bipolar, as well as those who use substances. I have a ct whose father died recently and although he didn’t have a relationship with his father, his grief was that now he would never have one. Due to insurance issues, which this ct had caused himself, I couldn’t see him for a month and so he relapsed on alcohol and marijuana. I was empathetic as ct had only been clean for 5 months, but then his roommate, in confidence let me know that he drank a whole bottle of vodka on super bowl Sunday, as always, I want the best for my cts and in doing so, I can sometimes, confront a ct where they might feel insulted, but in my field of substance there is so much denial, manipulation and lying, that this is necessary at times to jolt the ct into reality and help him to see the reality of the situation, but I could have used the wrong words for this particular ct, like using his fathers death as a “crutch,” also the ct would not reveal that he continues to drink. Ct of course denied his drinking and I educated ct on how using this word was not an accusation but unfortunately, as a person that has the disease of addiction they just do these things, drinking in his case, and sometimes dont even realize they are thinking like this and then I let him know that I didn’t want to see him continuing his behavior as, of course it would be detrimental to him. The ct became obsessed with saying that I was using the word crutch and wouldn’t let it go as well as well, as accusing me of saying that he was going to continue drinking, as he continued to deny he had continued drinking. I had to stop the session as I didn’t want to continue to hear his accusations, and I did apologize to him but let him know that I couldn’t continue hearing this as well as ct lying to me about his ongoing use of alcohol. Ct left and told another therapist about what happened and we collaborated. I would like feedback on this if possible. Thx for sharing. Lia , your client is going through sadness, loss and grief. He wants hope empathy and support and seems to have high expectation of you. And u only did the best at the time u wk w/ him. Saying word like yousaid could bring him to some reality and some distrust in you. That’s the trigger. But as a past intern, I really believe when we get home we want to put this behind us and look into the next appt, and slowly see that it takes a while a calmness. Good luck to you. This is highly appreciate post. I like your reason to talk about mistakes. yes acknowledging mistakes is important. And repair is equally important. Speaking as a (former) therapy client: It is very good to hear therapists acknowledging the importance of taking responsibility for their mistakes and of asking clients’ permission for interventions. I found it shocking, in my own attempts at therapy, that therapists did not accept these responsibilities – all the more so since I worked in a field where acknowledging one’s mistakes and taking responsibility for them was the norm. Therapy was not only unhelpful for me, but in fact exacerbated my problems. I tried asking questions when therapy didn’t make sense to me, but all too often got responses like, “Are you sure you’re not second guessing me?”, “Do you realize you’re asking me to give up my control?” or “I have my reasons”. I still have nightmares (and “daymares”) about my therapy experiences. I wouldn’t wish my experiences on anyone. That is incredible Mary. I believe you. It’s quite amazing that things like that do happen. Mary I am not your therapist but truly hope any and all of your therapists read this or you forward it to them. I find accountability to be pivotal in every relationship and every line of work. Most States and provinces have Colleges that monitor the practice of psychologists and some other professions that offer counselling. You may want to report your experience and make an official complaint to protect others. The important part is to heal this harm. We all have an Inner Healer that knows what approaches will assist us and at what pace. It is a therapist”s responsibility to connect with and honour that. It is a privilege to do this work and with privilege comes a duty to do no harm. There is much wonderful self help material online and I assure you there are trustworthy therapists now that you have ceased volunteering for abuse from those who did you harm, hopefully open to learning to never repeat their errors. Sara Joy, Some people might feel (justifiably) offended reading the line, “now that you have ceased volunteering for abuse from those who did you harm”. In my experience and understanding of the trauma research I have read, the majority of survivors of abuse and neglect do not “volunteer” to receive abuse. I did try to make a complaint about one of the therapists I quoted, but got a run-around: The relevant State agency said that it did not take complaints, that I needed to file the complaint with the county branch of the professional association. I contacted that county branch, and they said they could not take a complaint, because the therapist was not a member of the local branch of the professional association. I went back to the state agency, which said I could try filing a complaint for rudeness, which they would consider. I did that, but it was rejected. By the way, this was thirty years ago, so it was much harder to find where to make complaints then, before the internet. And also, without the web, one had to try therapists without much information about them. I did, over the years, try other therapists. Possibly the best of them might have been able to help me if I had found them from the beginning, but many of them just seemed very remote from my life and experience. The last one I tried (about ten years ago) did have a web page, saying he tried to fit the treatment to the person as well as to the problem. But he sure didn’t seem to do that. This discussion has been very helpful to me. Thank you to all. Thanks for this. GReat advice about always asking for permission first. Guy Macpherson has a wonderful podcast in which he interviews therapists and, among other things, asks them about a clinical error that they made. It’s always enlightening. THANK YOU STEVEN for your courage and for demonstrating vulnerability so beautifully. Hopefully the days of hiding our mistakes from each other as colleagues are soon behind us. What a wonderful forum we have here with NICABM to share our common-humanity, with kind and compassionate people! I spent the last six months re-creating my agency’s “program manual”. The manual’s key policies for both our clinicians and clients were designed and written based on the mistakes I’ve made over the past two + decades of clinical work. Designing agency limits, protocols for clinicians to better inform clients of the treatments we deliver, what to expect, & what to do “when” mistakes occur and of course whenever possible, how to repair the relationship(s) with our clients once a mistake occurs….all came from the countless past mistakes that have taught me how to be the best version of me I can be. Mistakes teach us so much! My mistakes “made” that manual possible. Mistakes really are required in life if we want to grow. Owning them and learning from them, and now as Steven showed us…sharing them too, is where it’s at! Thank you again Steven and NICABM! Yes. Asking for permission is very important in therapy. Without permission, it can create a lot of distress for both , me and the patient. At times, when it is possible, in order to push not too much with the learning process I am asking the patent if he/she wants to have a short “role play “. For me, the role play is a preparation step for the real life situation and works for any personality type or cognitive/emotional level, or trust level. I learned it from my mistake , as well. Yes it is so important to ask permission before involving clients in any exercise no matter how easy it may seem to us. Dr Russ Harris in his course on trauma demonstrates this beautifully. There is nothing wrong with making mistakes as that is how we all learn. In my work with clients once I realise I have gone too fast or jumped ahead I always raise this with the client, apologise and seek their guidance as to what would be more helpful to them at that time. They usually respond very well to this and it shows that I am not an expert on their needs and we are learning what works together. This builds a more authentic relationship, builds trust and commitment to the work. Thank you Dawn Vincent for describing building an authentic relationship so clearly. The same methods can be used for building trust and commitment in most relationships that I can think of. Staying present and listening are key. I sadly admit my most embarrassing mistake, I fell asleep listening to a client and I snored. I felt soooo bad. My client was deeply offended and did not return. There were reasons why I was that tired, but it doesn’t matter. Nothing says “I am not listening to you.” better than falling asleep. Poor guy, hope he finds a very good listener who will assure him that my falling asleep had nothing to do with him personally. Telling a patient that I felt that our work together was done. Even if I feel it, it is not up to me to decide. It prevents for them to reach out when they need to. Ghislaine – you are right, I was thing the same way. Often I find the simplest rules to be the most reliable and safe ones to follow. I learned in my practice that offering a short “feedback” opportunity at the end of each session was helpful for both myself and the client/patients to air anything that may have been useful or uncomfortable or just to get a vib of how things went. I, too, seek feedback after each session and at termination. I also encourage it during each session so that there is felt safety and a collaborative approach. I had a small private practice shortly after I got my MSW, and participated in a weekly group supervision. The supervisor was a very helpful and experienced clinician. I had a client who had Bipolar Disorder and Borderline Personality Disorder, with whom I had been working with for a few months, and with whom I had a good rapport. I brought up her case in supervision since I needed some advice about how to proceed in therapy with my client. The supervisor and the group felt that my client needed to go into the psychiatric hospital to get her meds adjusted. I was resistant to this idea because I was sure my client would be very upset about such a recommendation. Over the next couple of weeks we worked on how I could present this idea to her in a gentle but effective way. The supervisor and the group were upset with my reluctance to do this, and put put a lot of pressure on me. I finally talked to my client about going into the hospital. She was very upset that I recommended this, even though I was gentle in my recommendation and gave her good reasons why. She never came back to therapy. I felt sad and angry and I left that group and continued supervision with an individual supervisor who had an excellent reputation. What I learned was that I needed the experience of working in a psychiatric hospital so that I had a much better idea about when the time was to recommend going to a psychiatric hospital for med adjustment and when the client could do this on an outpatient basis. I began working in a psychiatric hospital, and it was an invaluable experience. I also learned that if I know my client and have a good rapport, that I can consult with other clinicians, but in the end, trust my intuition and knowledge about the client, and not give into group pressure. Would anyone be interested in being apart of a blog or email thread of therapists who can process their (perceived) mistakes? I find it difficult to do this with my colleagues because they’re biased and always like to assure me that I’m right all the time. Please let me know if interested! Can u send out the website and bloggers? Thank u! Nice reminder and reflection. The times I have made mistakes usually have to do with my moving a little faster than the client is able to do at the time. Then I find resistance and anger or distancing from the client and anxiety on my part that I inadvertantly caused distress for my client. My extraordinarily valuable lessons are to slow it down, stay present with the client, and the opportunity for the client and me to work through a breach of trust together. While I abhor making mistakes it keeps me humble, another gift. The latest mistake made was,[not with a client]That i had not been careful enough to read all the material send to me, and ended up writing to the business that an error was made in accounting, It was really my big mistake ,. because I did order the learning materials, which was not an extra to the previous order..Needlessly putting people in a difficulty. and it was all mine. Causing unnecessary work for this great learning facility. Thanks for sharing this. It was very helpful! One time, I had a new client for treatment for PTSD and I got over-enthusiastic in sharing stories of how EMDR has helped other clients, without using any identifying information. I was trying to offer hope and create a safe space. She never came back, and left me a message saying she knows more about my other clients than I know about her. I felt embarrassed and gave her a full refund for the session. It taught me to me to go slower and listen more to a new client before trying to convince them there are treatment approaches that may be helpful. I never forgot this, even though it was many years ago. 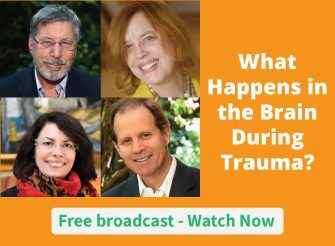 This information on the neuroscience, EMDR or any of the theories that have been augmented in these trainings are so exciting. It is understandable that you get excited to offer hope to a client. Forgetting that they are not on our same page is hard to contain in the excitement after years of the missing links that these forums and others have put forward in the solidified research. What I have found, is to titrate even that information, explaining the excitement but to catch myself in watching their eyes what they are taking in and when I need to be constantly aware of getting their information. As they share that information, there is where the relationship begins. Injecting hope periodically is fine. A recent webinar cleared that up in story telling defeats hearing them. We need to hear their stories. I have the trouble, as you for titrating my own enthusiasm but I have always been a cheerleader for clients and improved treatment goals. Clients, nowadays due to the internet, often think they know more than a clinician. I once was at a party and heard an unemployment counselor tell folks he did not believe in counseling because he can get all his answers on the internet if he needs help. This is the new dilemna we face. Any shooting that comes up has been often blamed on our profession. This has caused some problems as this profession is often blamed, by my own observation in the news on mental health. Sad. I am always aware that clients are often their own closeted counselors as they scan the internet. I do it myself that is why I am aware of how pervasive it is to our role in their history and present scope of their knowledge. When clients come in they often have not been listened to and any storytelling, which I also love to do, realize I was not heard growing up. Usually these clients were not heard either. That helps me put my brakes on any story telling, remembering how no one listened to me growing up. As I slow down my enthusiasm, I watch my time, to make sure I have a few minutes to close as to a common goal. Treatment planning, which I used to hate in agencies, has been my goal to assure I do not run with my own enthusiasm. Do not get me wrong, I make plenty of mistakes and recently forgot to remember a treatment tool I had not been using as often lately with all the new ideas, If I used Motivational Interviewing, I still would have had one of my favorite clients. She wanted nothing of the neuroscience as she was too afraid to delve into her own issues. Sometimes having too many solutions can be overwhelming causing one to forget a process that would work. What I like about these forums is that we get these other avenues to trigger old tried and true avenues. A good support network is crucial in this work. I am too isolated both in my area but also in my enthusiasm as a 30 year counselor, so this video was quite timely. A good support network is crucial in this work. I am too isolated both in my area but also in my enthusiasm as a 30 year counselor, so this video was quite timely. I have some great tools that also work with clients. We can use EMDR or any of the other more deep wounded needs, when they decide it is affecting their healing process. This is hard work and I thank you for sharing your story. I wish I was not still making mistakes even in present day work. I need to titrate my own healing, understanding we are all human and sometimes too empathetic to the human condition. Very insightful video! I recall giving a CE talk on ethics, with regard to cultural sensitivity. I mentioned there were times when I made mistakes in practice due to not fully understanding certain cultural nuances with clients. The small audience of therapists looked at me as though saying, “What? You made mistakes in regard to cultural issues with clients?” I guess I learned another “mistake lesson” at that point; be careful to whom you own up to your mistakes! Sad that we can’t all be more “human,”as everyone makes mistakes, and most importantly, this is how we learn! I would have respected you for sharing this! It make you more authentic to me. But you are right about knowing your audience! I have apologized to the client and applied it to further practice so it is not repeated. New rule… Never make the client wrong help them find a better way. Firstly as when we show up our self courageously it allows n is permission giving to others to do so. Secondly the very act of doing that exposing our mistake/embarrassment overtly in the ‘right atmosphere ‘ I think makes self more fully conscious not to repeat it! As Dr Hayes in the client reasoning of exposure is also for true for us…we can do that in supervision as we know it’s a safe container to do that in or perhaps in a forum like this where there are likeminded therapists who want to support n learn from each other. I remember that in training we were told that self disclosure was to be done in exceptional situations circumstances….I had done a reasonable amount of work with a client and we were making this progress till the point I passionately shared that how I had found peace/acceptance in spiritual practise of same issue. I lost the client then…however he did contact me three years later and we did some brief therapy…but I guess it was owing to trust n therapeutic alliance in place that made it possible. I have moved from counselling to peer group facilitations and I find that I can inspire others by being more open about myself than the boundaries of conventional psychotherauptic practice allows. My learning was that as I evolved as a person I had to align myself to BE n DO what I feeling to be more congruent n authentic than limit myself in a ‘role ‘ as a psychotherapist. I can use all the experience of what I gained as a therapist in a different setting now. I thought that work with “mistakes” was material for supervision. I feel that such supervision on a frequent basis is the obligation of every practitioner. When you mention “permission” an entirely different set of issues comes up, one that I deal with constantly. That is, giving clients permission to have feelings, as, for example, to go against social norms. I could write several essays on that one. Are you a licensed family therapist? Did your team consider the whole family as the patient as well as the kid? Thanks so much for sharing this. It’s a great reminder to always get permission from clients and be sure they are aware of what is coming up next, and they are on board with the plan. My first job was in a hospice agency. I had gone through months and months of a patient’s decline, dealing primarily with his wife. Now I was in the bereavement counseling phase with her and she gave me a check to show her gratitude for all I had done. It was a little over the $25 allowable amount and my Supervisor made strong suggestions I return it. I went against my gut feelings and did return it, but the widow was highly embarrassed and insulted, and what had been a good therapeutic relationship crashed in that one action. It taught me to follow my own feelings in the moment, and if I later feel something could have been handled better, at least I’m only looking at what happened, not at why I didn’t listen to my inner guidance. It makes us vulnerable to judgement to share “mistakes” but why not call them learning opportunities and free ourselves up by sharing? Onward and upward! I think calling mistakes only learning opportunities…kinda white washes taking personal responsibility. If we messed up…then call it what it is. That to me is more empowering. I guess if we have to compromise we could call them… learning mistakes. AS practitioners…we foremost, need to have the courage to just accept responsibility, no need to pad it. As a patient, I completely agree. When practitioners accept responsibility for mistakes, it helps the patient clarify where his/her own issues lie, and to be able to trust his/her view of a situation. It is also a good model of behavior that the patient may have not seen previously. Hmhm …this is something I have to digest and chew on for a few minutes. Tough to make decision in an instant. Because of my way of thinking implicitly, it causes problems that have to be resolved. But I usually don’t hold a grudge only just lose sleeps. And days of munching and ruminating until I really get that I “goof off” – and probably – both of us did. It isn’t really fun but can be quite a relief…finally. Needless to say, I do have my own unresolved issues and mistakes in connections and in my doing – during the settings. It is a time consumed But probably unecessary?! It is in regards to competency and practice esp. I was a New family therapist in a residential treatment program for kids. The patient was on the lock down unit and team team held mail from her parents for behavioral reasons. I did not tell the parents right away and when they found out they became very very distressed. I learned how empowering clients with information is so important for maintaining trust and rapport. I really learned a lot from that as a beginning therapist.